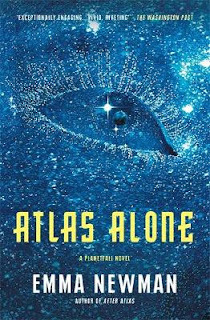 On the 18th of April I'll be in Waterstones Picadilly in London, talking SF with Temi Oh and Emma Newman, with Pat Cadigan (rather than Gavin Smith as originally announced) chairing our conversation.I thoroughly enjoyed Planetfall, Emma's first SF novel (and am now catching up with her other works, including the newly-released Atlas Alone) and I was greatly impressed with Temi's debut, which is a powerful meditation on the consequences of leaving home. 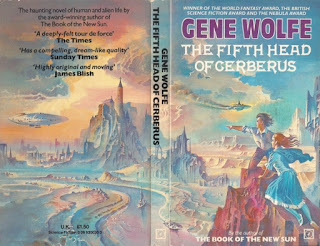 Decades-long interstellar voyages feature in both their works, as well as mine, so we should have plenty to talk about. 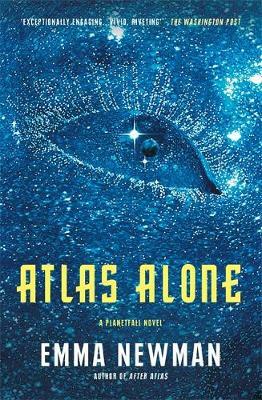 "Emma Newman is the author of Planetfall, After Atlas, Before Mars and Atlas Alone. She is also a professional audiobook narrator, and co-writes and hosts a Huge nominated podcast called Tea & Jeopardy. Temi Oh is the debut author of Do You Dream of Terra-Two? 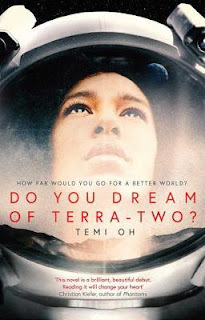 Having studied Neuroscience, Temi has written on topics ranging from Philosophy of the Mind to Space Physiology. She has also ran a book-group called “Neuroscience-fiction,” leading discussions about science-fiction books which focus on the brain." Did anyone see a knight pass this way? 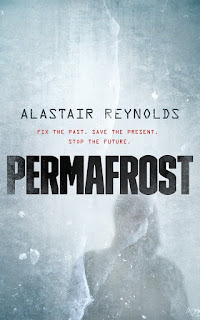 Permafrost, my new novella from Tor books, is published today. 2028: a young woman goes into surgery for routine brain surgery. In the days following her operation, she begins to hear another voice in her head... an unwanted presence which seems to have a will, and a purpose, all of its own ? one that will disrupt her life entirely. The only choice left to her is a simple one. To reiterate, this is a novella, not a novel, so you're getting around 34,000 words of fiction, spread over about 180 pages. Were you so inclined, you could easily read it in a long sitting. I mention this because (based on prior experience) there do always seem to be some readers who expect a novel's worth of content from what is clearly marketed as a novella, and feel disgruntled when the actuality fails to meet their expectations. (These categories are somewhat arbitrary, and definitions vary, but as far as the majority of SF readers are concerned, a novella lies somewhere between 17,500 and 40,000 words. My earlier story Slow Bullets was about 45,000 words in its initial form, but we very deliberately reduced it to a shade under 40,000 just so there'd be no ambiguity about its nature.) So, please, be aware that what you're getting here is equivalent to around six or seven short stories, and perhaps a third of a typical novel, and about a tenth of a big fat doorstopper. Writing in Locus, Liz Bourke called the story elegant, and described it as an enjoyable, engaging and thought-provoking novella, while also saying that she found the handling of time travel original. In Library Journal, Tina Panik called it "outstanding" and compared it to Jeff Vandermeer's Southern Reach trilogy. 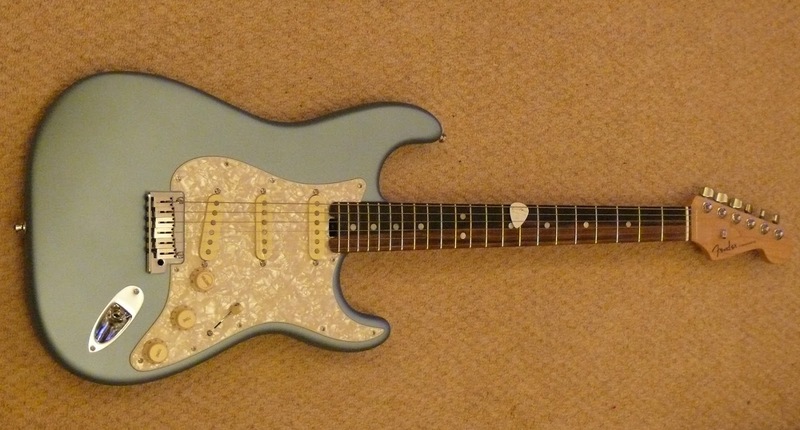 53rd birthday present from my wife. Thanks to the nice people in PMT in Bristol who helped me try a variety of Strats before settling on this lovely specimen. I'm a lucky chap! 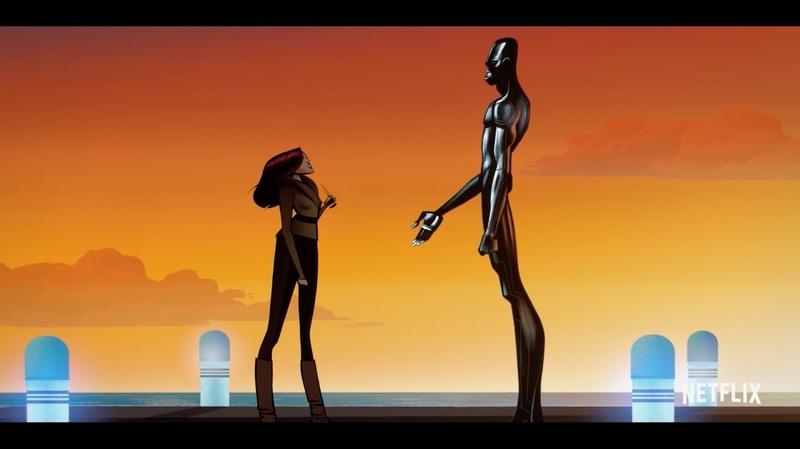 Two of my stories have been adapted as part of Tim Miller and David Fincher's new animated anthology series for Netflix, entitled Love, Death & Robots. The stories are Zima Blue, from 2004, and Beyond the Aquila Rift, from 2005. Although they're both approaching a decade and half old, and I've written a great deal since, I'd have to admit that they are still among my favorite personal stories. Both pieces lent their titles to collections, and both were originally bought by Peter Crowther, of PS Publishing, to whom I remain indebted. I'm very pleased that they've been adapted, and I look forward to seeing the episodes in their entirety. Aside from the stage production of Diamond Dogs (which was also a story bought by Peter!) 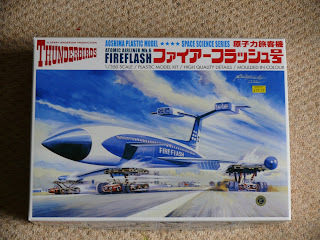 these are the first adaptations of my work in any medium. Be warned that the trailers are very much Not Safe For Work. There's a lot more out there if you're prepared to dig around, including some mini-trailers for the individual stories. The series premiers on March 15th.